According to the Department of Energy, the average Idaho home consumes more than 36 kilowatt-hours (kWh) of electricity per day. (4) — One of the highest in the country. A tremendous amount of solar energy that strikes the Earth every day. There are several ways homes and buildings can make use of this freely available energy every day the sun shines. At Whole Energy Solar, we like to start with energy conservation and Passive Solar Design, because these have the biggest impact per dollar invested. 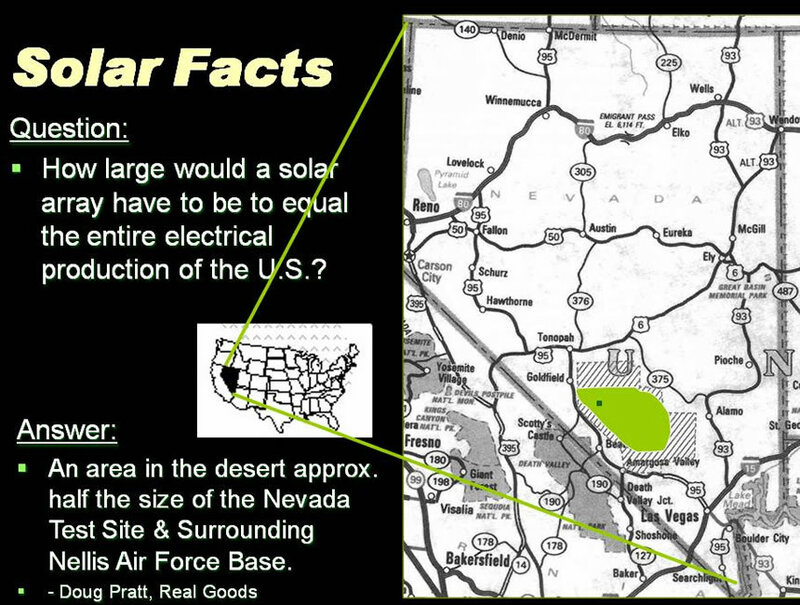 Next we recommend Solar Electricity and Solar Hot Water Heating. So much of what we use at home and work revolves around electrical appliances and it is deeply satisfying to know that they are running on self-produced, clean, renewable energy — and to show friends and colleagues which way the meter spins when the sun is shining. Solar Hot Water is an efficient use of solar energy that we can use every day and provides one of the best returns on investment. We talk more people out of Solar Space Heating for the simple reason that if Passive Solar Design is done right, then the two are redundant — and only one of them is free. But there are cases where active Solar Space Heating is appropriate and Whole Energy Solar does design and install solar heating systems. How much sun is available? Is there enough sun where I live? This map provides monthly average daily total solar resource information based on grid cells of approximately 40 km by 40km in size. The original gridded data were smoothed and contoured for easier interpretation. 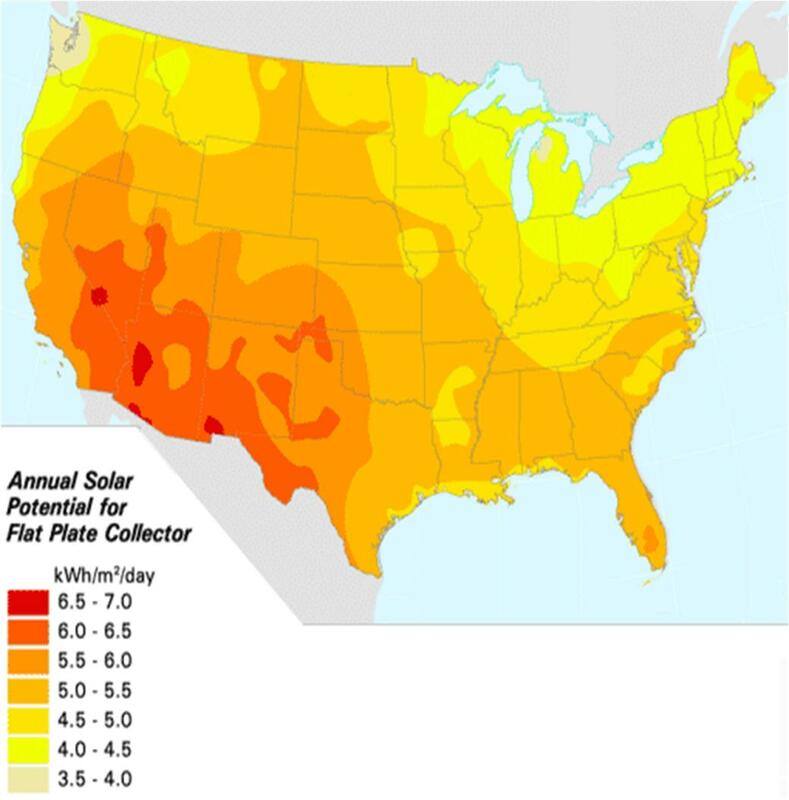 The insolation values represent the resource available to a flat plate collector, such as a photovoltaic panel, oriented due south at an angle from horizontal equal to the latitude to the collector location.